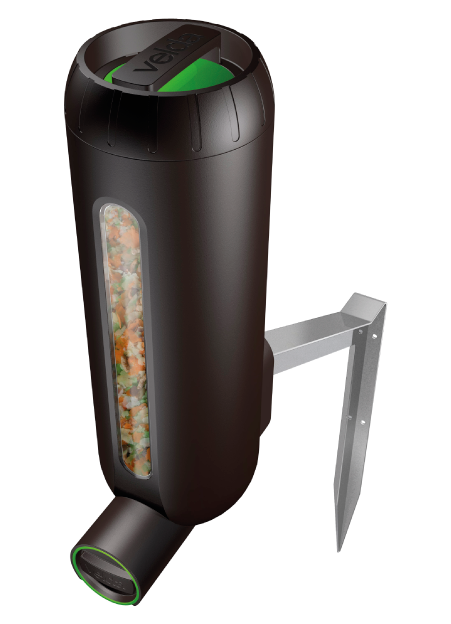 Optimal feeding with the SENECT control technology and the Velda Fish Feeder Pro. With the Fish Feeder Pro, connected to actuator output ports of SENECT control unis, you can feed your fish intelligently and tailored to the needs of your fish. The spiral feeding mechanism allows you to use different grain sizes and different feed types. The Fish Feeder Pro will be delivered without the Velda control unit, but with a 5 m cable for connecting the feeer to the SENECT control units.